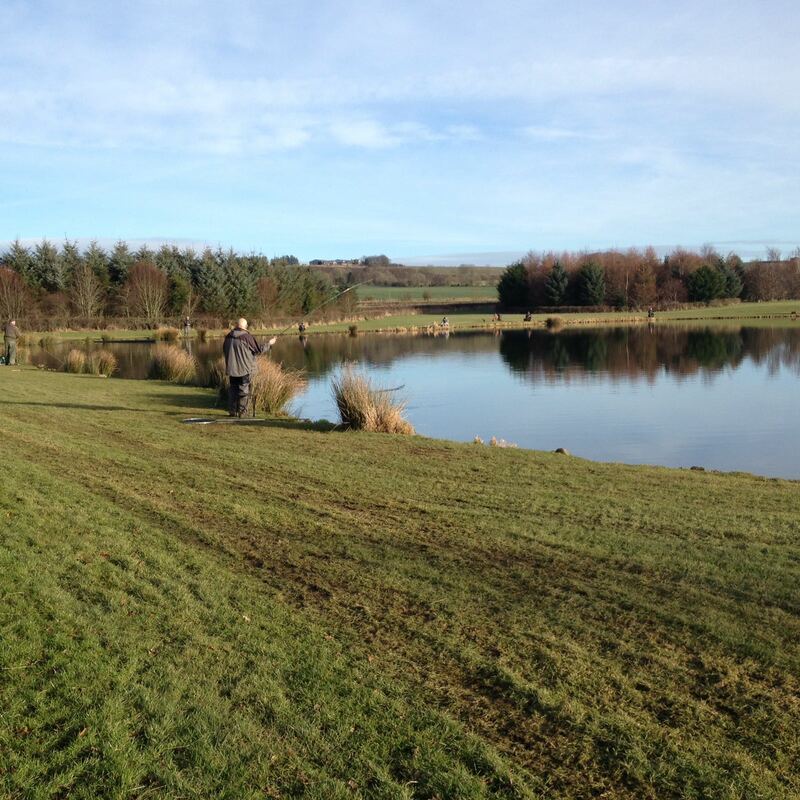 Down Lochter way on Sunday conditions were idyllic for the Rabbie Burns Pairs competition. Welcoming sunlight, heady temperatures and light to no wind made the Osprey loch at Lochter the ideal setting for the unremitting action that was about to unfold. As 24 of the finest fishing talent of the North East gathered the simmering anticipation was heightened by the sight of numerous trout breaking the surface, all over the loch, obviously in feeding mode , after the ice only receded fully, the day previous. 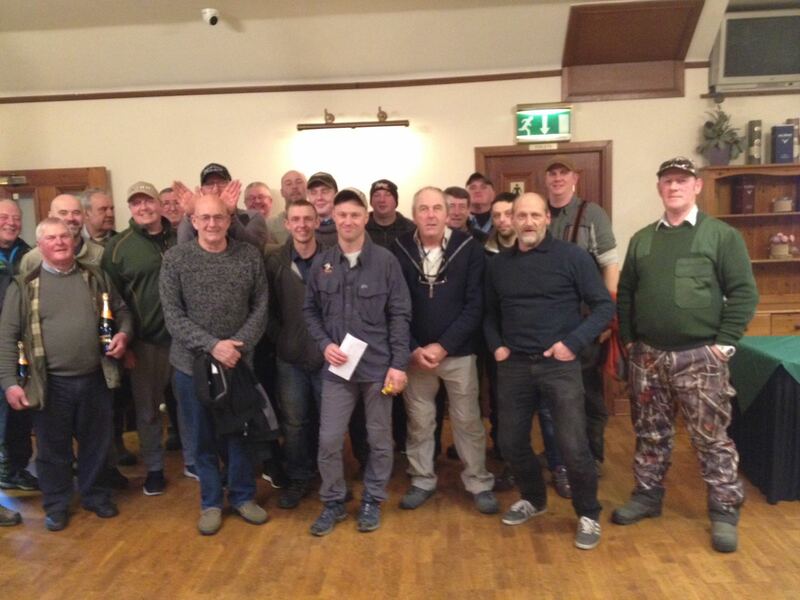 It’s not very often nowadays that you get such a gathering of like minded fishermen and it was nice to see the great banter and renewal of friendship by those who choose this great sport as their own. No sooner had the shrill and strident whistle pierced the anticipating silence for the first peg then half a dozen rods were bent all round the loch, a good sign that no hotspot peg was going to be the deciding factor. This continued throughout the day, so it was very much the case of trying to be consistent at each peg and hope your partner was doing equally as well. The competition was run on a points system whereby you were awarded 2 points for the first fish at each peg and one point for every fish thereafter. When the final whistle blew and the exhausted angler drew in their lines for the last time there was a sense that it could be a close run thing. When the returns sheets were handed in it was down to Ron, Lochter Fishery’s very own numerical genius, to tot them up. After much use of fingers, abacus and eventually a calculator with a dodgy battery then a conclusive result was reached. 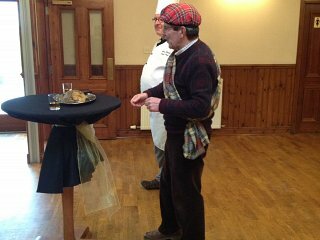 By this time our competitors were in the salubrious surroundings of the Bennachie Lounge with Lochter Activity Centre’s very own Howard Hughes addressing the haggis with a style and vigour all of his own. There was then consumed a hearty amount of haggis, neeps and tatties. During the competition, there was a total of 162 fish caught and released giving an average of 6.75 per competitor. With baited breath to see how the £250 in prize money was to be distributed- Stuart, Lochter Fishery’s manager announced that in third place, with 32 points it was a family affair with Richard and Glen McHattie securing this position. In second place on 34 points was Steve Corsar and Tommy Graham and finally on 47 points the well deserved winners were Paul Sharp and Andy Barrowman. A special mention must go to Fred Hay who uniquely for the first time ever in a Lochter competition won the effervescent and bubbly bottle prizes for 1st and last fish caught. A fine effort Fred- this was either an example of precision timing honed with unerring fishing skills or else he was just a tad lucky on the day- I’ll leave you to ask him next time you see him, nevertheless well done! On a more mundane but no less important fishing matter there was a good turnout of fishers at Lochter throughout the week. On a group outing, the lads from the company formerly known as BT were well ‘connected’ to the fish and used a ‘broadband’ of flies to have an excellent day of ‘BT Sport’. S Williams had 11 fish as did J Robertson, Steve Argo had 10 fish and S Wilson had 5, all of them fishing a mixture of lures which included the WSW, cats whisker and bloodworms. Dougie Mair (one half of the blobby boys- Billy not fishing as he has a bad cold, get well soon!) was into double figures using the blob and buzzer. Pete Green from Huntly had 2 outings and showed consistency personified netting 11 both times on the green eyed pea, damsels and hares lug. Pete Young fished solely and patiently on the Muckle Troot and was rewarded with 8 nice trout. Looking through the returns book, Albert Trail had 7 fish on black lures, Bill Wood used dancers and blobs to bring 6 fish to the net. Lesley Johnston fished the bloodworm to get 6 fish and Chris Wilson used the apps bloodworm to get 5 fish. It was nice to see Graham Rodger able to come out for the first time this year and he was suitable rewarded with 5 fish in the bloodworm and lime bug. 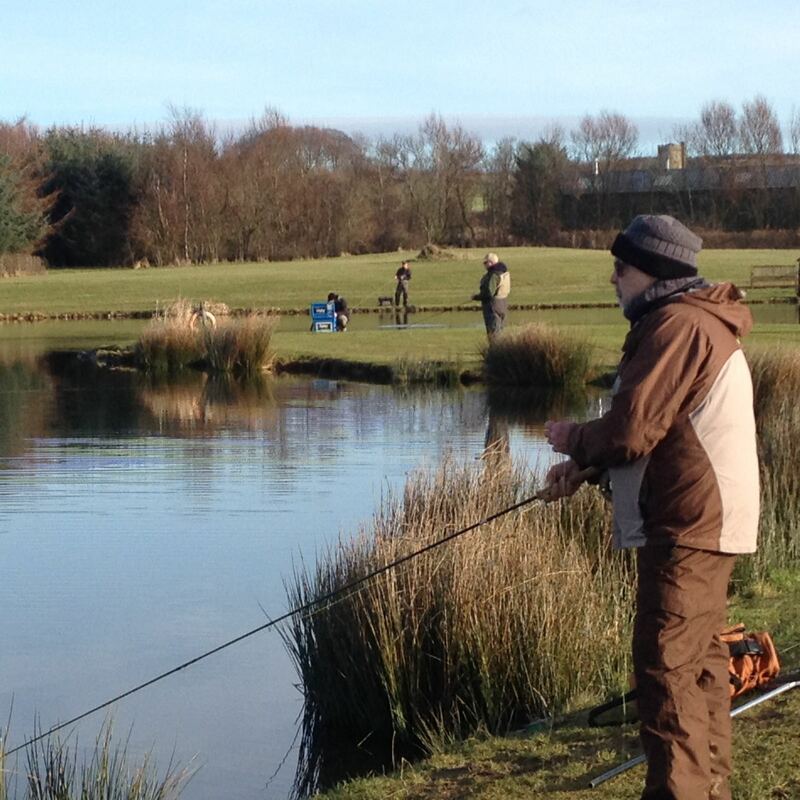 All in all, a busy week of fly fishing fun at Lochter.